Wow, it has been over 2 years. I am so sorry if you have been waiting all this time. 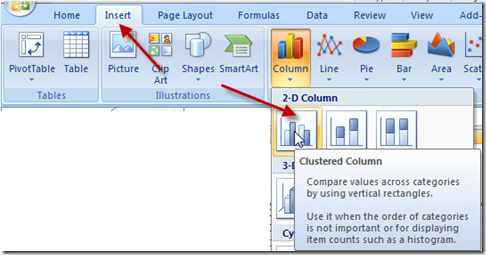 Probably not, but I will finish what I started with Part 2 of How-To Make a Dynamic Excel Scroll Bar Chart. After completing this, you will now have a scroll bar displayed on your worksheet. 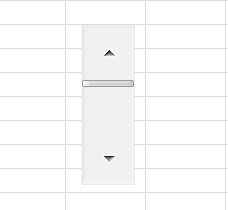 An Excel scroll bar will need an area to store the current selection/value. We will simply place a few data cells next to our original data set. I will add a few data points in cells F3:G7 that will make our chart Offset formulas easier to understand. In Cell G3, we will want to find the minimum of our dates so that we can use this to calculate the Scroll Bar selected date. We have designated Cell G4 to hold our Scroll Bar selection. We will use this in Step 3 below. Cell G5 will equal our selected scroll bar date by adding the Scroll Bar value plus the minimum date in our data. In Cell G6, we will find the first matching value in our data that contains the Selected Date. 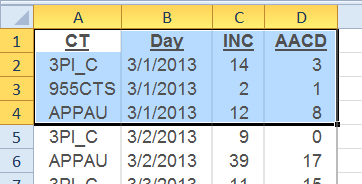 Cell G7 equals a count of the number of instances of the Selected Date in our data . NOTE: This technique requires your data to be sorted on the Date Column. Now would be a good time to update our scroll bar formats. b) Minimum Value = I like to set it to 1 or 0. This will affect our formula for the Selected Date. If we put in 1, then we will need to subtract 1 from that formula. If we choose zero, then there is no need to subtract 1 from that formula. c) Maximum Value = 7 or 8. This should be equal to number of dates that we have in our data set minus the minimum value we put in b) above. d) Incremental Change =1 so that we move our dates on a day by day basis. e) Page Change doesn’t matter in this case as we have a very small data set. If we had a larger data set, then page change affects how the scroll bar value increments when you click on the bar vs. the arrows. 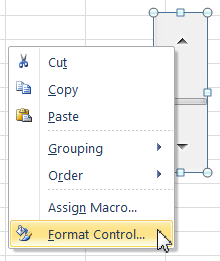 Now that you have your scroll bar set, we can create the formulas that we will put in our chart. Before doing this, I recommend that you check out this video to learn more about the Offset Function. 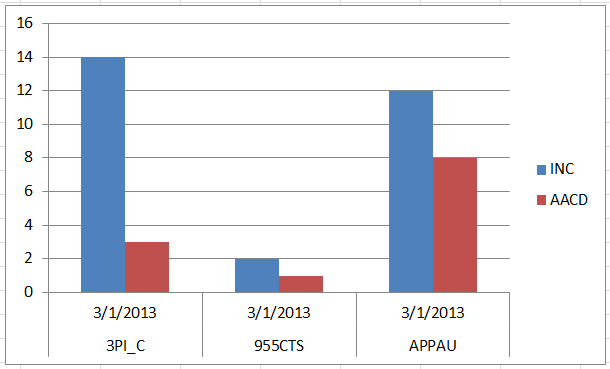 For our Offset formula, we need to create 3 Defined Name formulas for the Chart Series Ranges and Horizontal Axis. After you have created the chart series and axis Defined Name Formulas, we are ready to create our chart. To create our dynamic chart, we want to first create a sample Column Chart that we will modify with our dynamic named formulas. Now we need to change the static chart series with a dynamic offset defined name formula. 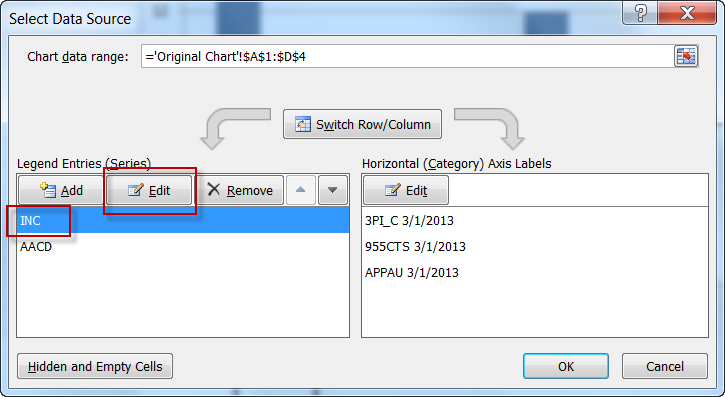 Change the Series Values to the Defined Name Offset Formula for ChartSeries1 you created above. Repeat this step for ChartSeries2 you created above. 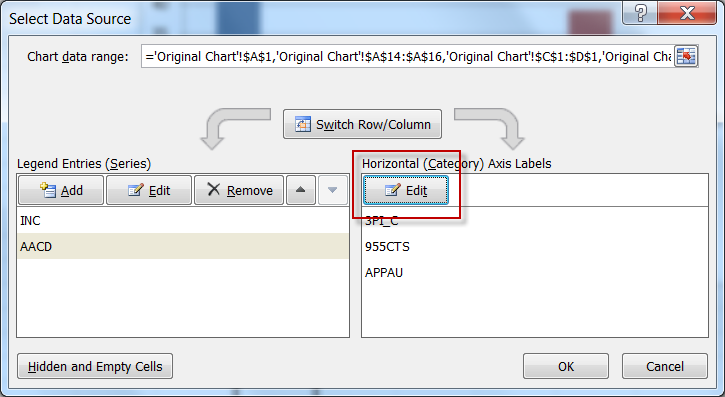 Then Change the Horizontal (Category) Axis Labels to the Defined Name Offset Formula for ChartSeriesNames you created above. Thanks for the wait. What chart tutorials should we do next? Let us know in the comments below. Hi, really appreciate this video. However is there a way to show several days at once instead of showing day by day? Sure, you can expand your offset range to whatever you like.